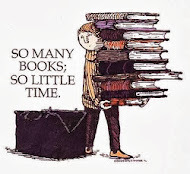 There are some books that when you're reading it something magical happens and when you smile, every part of your body has got a buzzes with happiness. When there's a sad part, you become low for the rest of the day. This is that book. This is that book that creates a world for you above your head. This is that book that leaves you completely satisfied and amazed. This is one of the best book I've ever read (i repeat this line many times in this review). In the first book Stargirl Caraway enchanted me. In this book, well she continued to do the same. I fell in love with every part of her as i read on. I was fascinated by Stargirl in the prequel, and this book made me further fascinated. She is truly beautiful. She has the hugest heart. She has a place for everybody in her heart.Nobody is insignificant. She sees something in everybody. Also she isn't proud or arrogant or stuck up. She treats everybody as equal. She believes they are like her. She sees people not only at the surface, but deeper and sometimes better than one sees them-self. This book is from Stargirl's POV. And while in the prequel we were all wonders at who this creature might be,in this book we meet her a a fellow human, a teenager even. Definitely a more special kind and better person than the better lot of us, but a real human who has bad days, who mopes for her ex and deals with real life. It makes us connect with her so much more. Apart from being all about Stargirl, this book has many other wonderful characters who seem so real. This book is every one's story. From the man who lives in the past to the woman who is afraid of living and everyone in between. Dootsie is my one of my favorite character. She is just so cute. I love how that huge head of her sees everything in a completely new light and how she is so vibrant and colorful and adorable. It is impossible not smile in every part of the book she is in. Till now you probably have figured that i am incapable to write a proper review for this book. Mostly its because I'm so smitten with it that i can't move ahead of the fact that this book is beyond amazing! After i read this book i had the Stargirl girl spell on me, when i just looked out ad smiled so stupidly but i was also so darn devastated that this book was over and i felt so sad and my heart felt like it was going to burst.The ending of this book is magical and beautiful and that feeling is just blows you away. 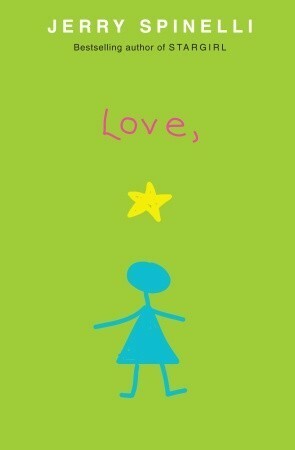 This beautiful story is about the life of Stargirl after she moves and leaves Leo. Stargirl is heart broken and does her fair share of moping and fights her demons.She meets new and amazing people and goes around spreading the Stargirl magic around her. She discovers the place she now lives in and finds enchanted places. She goes back to being home schooled by her mom. She takes up new projects and completely fascinates us by her uniqueness. With some of the best and amazingly thoughtful quotes this book is one of a kind. Its taken the place of my current favorite book. Truthfully, this book touched me deeply. There is so much truth and realness in this book and its written amazingly. There are parts in this book that will make you smile through tears. In this big bad world, there are people like Stargirl that make it worth living, restores our faith in humanity. Its the small things. Its when somebody in the world notices you, Stargirl does that. Not without hardship. Stargirl has her own life and heart break too, but she has time for the world too. This world desperately needs Stargirl. This being said, this is one of the best books i've every read and i'm going to recommend it to every person out there. If this book fails to touch you and enrapture you with its wonderfulness, there is something seriously wrong with you. You should also know that if you read this book, and don't like it, I don't like you. Normally for such an amazing book, I'd rant on and on that you have to read it. But this book is different and special and if my review touched you at all, then you shall read it and love it. “She laughed when there was no joke. She danced when there was no music. She had no friends, yet she was the friendliest person in school. P.S. I love you Jerry Spinelli for writing such a story. Read this after you've read the book. Sad but true. 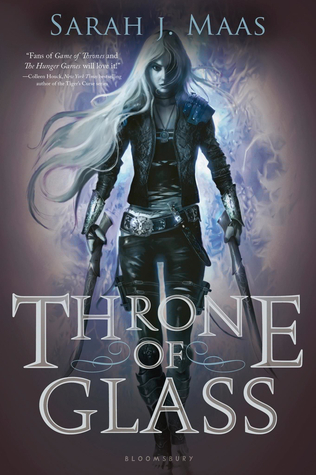 Summary: To save her mother's life, Clary must travel to the City of Glass, the ancestral home of the Shadowhunters - never mind that entering the city without permission is against the Law, and breaking the Law could mean death. To make things worse, she learns that Jace does not want her there, and Simon has been thrown in prison by the Shadowhunters, who are deeply suspicious of a vampire who can withstand sunlight. Clary needs to revive her mother from whatever spell she's under and to do so she needs to find the Warlock-Ragnor Fell. The Warlock resides in Alicante (The City of Glass) and Clary decides to go there with the Lightwood family and Jace through a portal, and that's where things go terribly wrong. Instead of Clary, Simon ends up in Alicante and Simon being a Downworlder and all. Yeah, he was not so welcome. Jace and Clary find out more about their past, some good and some bad secrets bob up to the surface. Valentine has declared war over Alicante. He with his Demon army plans to control all of the Shadowhunters and obviously destroy all Downworlders. Shadowhunters don't stand a chance against Valentines army but maybe if they join hands with the Downworlders, they might just win. But will they? Valentine is so ruthless and wicked in this book, that I have fallen in love with his iniquitous ways (Call me psych, but it's true) He just seems like a royal arse who just flaunts his evilness. I love it. 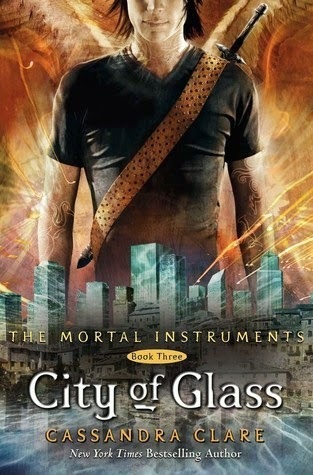 Valentines true aim from the first book has been to acquire the three mortal instruments. After having already gotten The Mortal Cup and The Mortal Sword, all he needs now is The Mortal Mirror. I have mixed feelings about this book. Sure it had some great moments but way too many cheesy lines for me to digest. Many so-called-suspense had obvious outcomes and I didn't like the way the characters reacted to some of the situations. For example, Isabelle just goes through a huge emotional instability after attending a funeral and what makes her feel better? Intimacy. I had felt absolutely disgusted at this point. 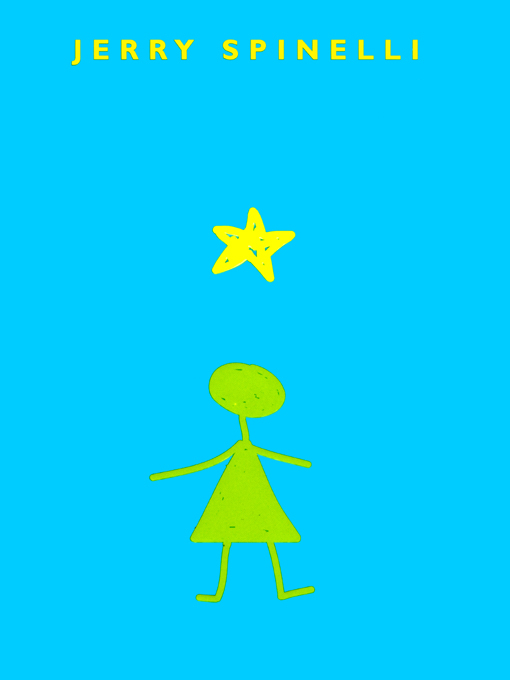 This is a book about a girl named Stargirl. If i had to choose one word to describe Stargirl it would be magical. She is fascinating, different, unique, mesmerizing and beautiful. She waltz in like a breeze of fresh air and leaves them speechless. She has a totally different way of looking at the world around her. She is completely fascinating. She completely captured my heart as she did Leo. There is a boy, Leo. From the first day Stargirl comes he is too mesmerized like all of the others. He has never seen anyone as her, no one so vibrant and fascinating. Every next thing she does makes him more and more hooked to her. Every day he waits for her and wonders what she will do that day. Like everyone else he is intrigued. Further more, the things she does not only stuns him but also creates questions in his mind and enraptures him. He wonders and is puzzled. He is also terrified of her. He wonders what is she. He tries to identify or give her some sort of word, but with Stargirl that never works out. In fact I'm going to be reading it again and note down all the amazing lines even though there might be quite a lot. Its such a shame there are hardly any Stargirl's left in this world. This world needs Stargirl. I applaud Jerry Spinelli. He has written this book artfully. And this type of book takes courage to write. I feel like i shouldn't give u a summary of this book. I feel that every person should experience it without any pre thoughts or something. Also every stage fascinates you and if i tell u what fun will it be? Discovering Stargirl and her antics are so much fun and adds such a lightness and wonder to this book. I felt every part of this book was good. It was quite real. And as for leo, though i felt he was useless i don't quite blame him. We might think we would have choosen otherwise but it makes us wonder what is really important. Would we be brave enough to choose Stargirl? This is not a love story or anything dramatically teenager. Its about being yourself. Stargirl is plain magic, the way she enraptures the people and stuns them, not caring even a little what they think. Finding out Stargirl through Leo's eyes was brilliant. The way this story progresses is brilliant. This is a unique book.i think everyone should read it. No one is as brave as Stargirl. It takes real courage to be her. I don't believe anyone cant like this book. This is not like other books, its a different and special book. 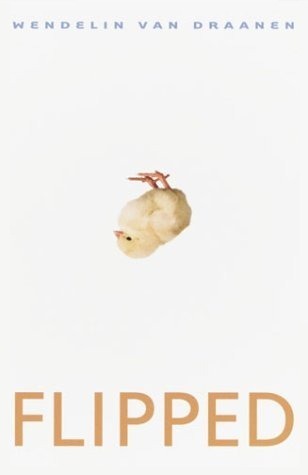 As for the ending, i have to say this is one of the best books worth that sort of an ending. It might not be amazing but its wonderful in its own sense. Stargirl might be gone, but she is forever. Now toodles cause i gotta go read the sequel.